The Queen family is thrown into disarray by the abduction of Thea, but Arrow doesn’t get the outcome he wants after handing Slade over to the police. Isabel makes a move against Oliver, and on the island Sara hatches a plan to ambush Slade. OLIVER'S WORLD STARTS TO CRUMBLE - Slade (Manu Bennett) makes his move against Oliver (Stephen Amell) and the repercussions are enormous. 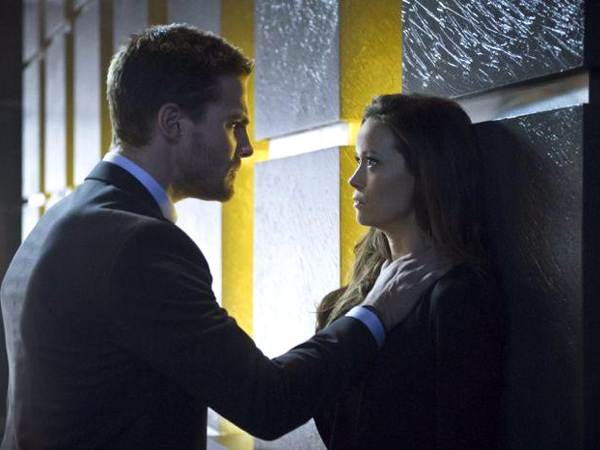 While Oliver scrambles to protect his family, a key player in his team starts to question Oliver's decisions. Meanwhile, Isabel (guest star Summer Glau) makes her move to take Queen Consolidated away from Oliver.